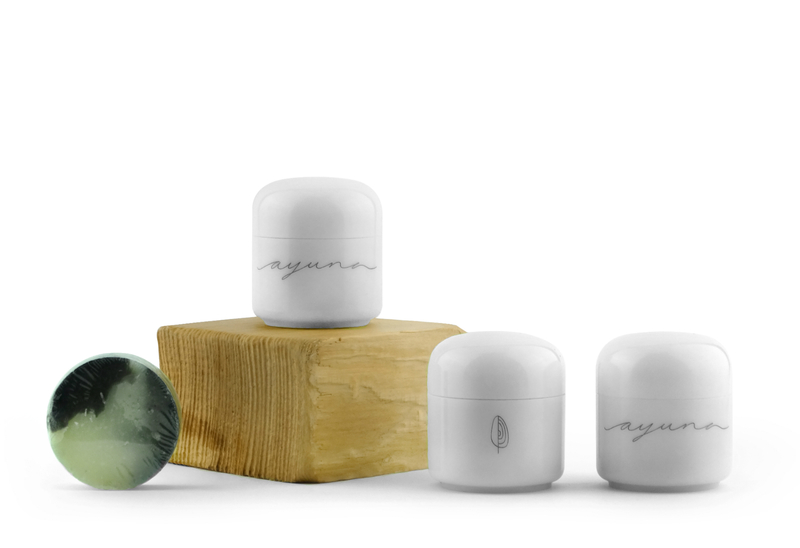 The Amma Travel Set by Ayuna is a portable topical cleanse that makes skin feel awakened, rejuvenated, and healthy. The beauty travel set includes four skincare products designed to offer a detoxifying effect that results in a balanced, youthful, glowing appearance. The first step is an artisan bar soap made with olive and coconut oils to cleanse the skin while lending a light touch of moisturization. Second is Essence, a creamy oil peel that utilizes fruit oils and probiotic ingredients to reveal smooth, soft, even looking skin. Next up in the regimen is Balm, a treatment mask formulated with activated charcoal and pullulan (a natural sugar) that gives skin a purified feel and a tightened appearance. The final step in the regimen is Cream, containing green carrot, pomegranate, and turmeric, this facial cream leaves skin looking regenerated and radiant. Ideal anytime skin needs a little TLC. I received the Ayuna cream and body lotion in my August BH box and I really wanted to know if I would love the other products before buying the full set. Well, now I have to agree with the fabulous reviews about Ayuna (thank you "L'amour et la musique", "This organic girl", "Gurl gone green"). These products are beautiful, luxurious, effective. And I really LOVE all of them. It's like a spa time at home. 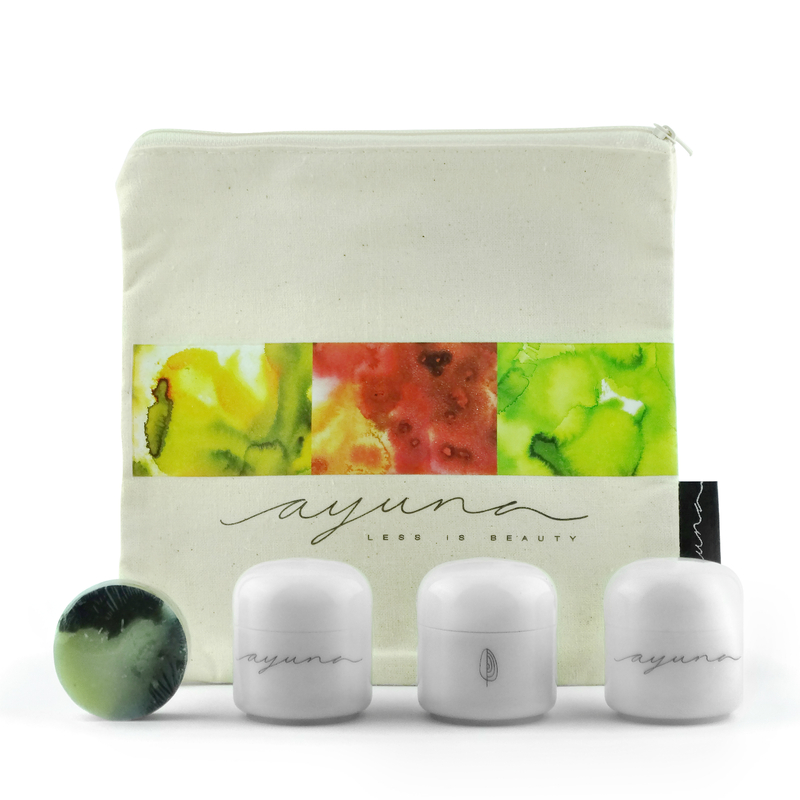 There is really some magic going on when using Ayuna products.